In a startling 1998 breakthrough, researchers discovered that, despite popular belief, the brain is capable of creating brand-new brain cells. Researchers suggested that this process, called neurogenesis, may even continue throughout our entire lives. The Concern: PS and phospholipids that give the brain its structure often decline with age. ** As a normal part of aging, brain cell membranes may change. ** That’s where Phospha-Mind Gold comes in. 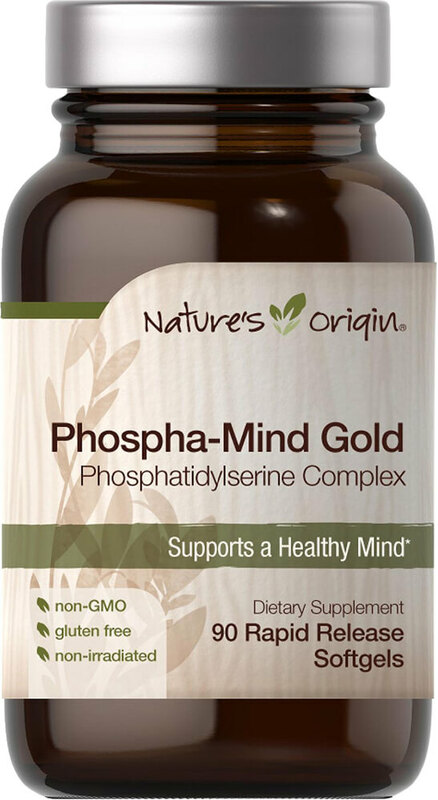 Nature’s Origin Phospha Mind Gold supplies PS benefits in a standardized, soy-derived, non-GMO form. Consumption of phosphatidylserine may reduce the risk of dementia and cognitive dysfunction in the elderly. Very limited and preliminary scientific research suggests that phosphatidylserine may reduce the risk of dementia and cognitive dysfunction in the elderly. FDA concludes that there is little scientific evidence supporting these claims. Why Take Nature’s Origin Phospha-Mind Gold?